The Steelers ended 2018 and the season with a win over the Bengals. They needed the win to secure a playoff spot, but unfortunately they also needed help from the Browns, which did not come. The Steelers did what they needed to do on Sunday, defeating the Cincinnati Bengals, 16-13, at Heinz Field. After the Steelers won, Heinz Field remained packed, including players from both teams on the field watching the end of the Browns-Ravens game on the scoreboard, an emotional rollercoaster of big plays by the Browns at the end but it wouldn’t be enough as a Baker Mayfield interception on fourth down ended it all. Ben Roethlisberger, who finished the season with 5,129 passing yards and became just the seventh quarterback in NFL history to record 5,000 passing yards in a season, was disappointed after the game but also had pride in the job his teammates did. The defense was dominant all day, holding Bengals quarterback Jeff Driskel to just 95 yards passing and sacking him four times, while allowing just 125 yards on the ground, most of that coming in a 51-yard run by Joe Mixon. Matt McCrane, who was signed on Friday after Chris Boswell was placed on injured reserve, hit three field goals, including the game-winner from 35 yards out. In the NFL, it’s often not only what a player does but when he does it. 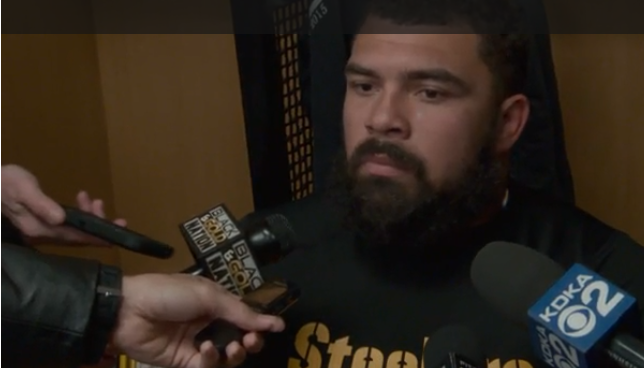 That describes Cam Heyward during the Steelers’ 16-13 victory over the Cincinnati Bengals at Heinz Field. 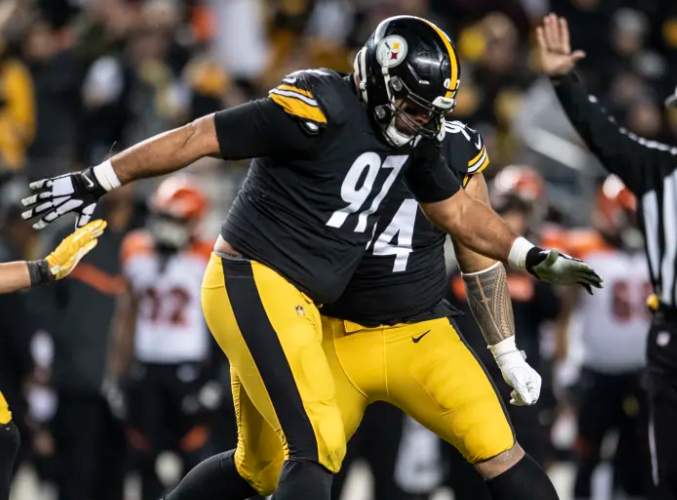 Heyward was credited with only two tackles, but both were sacks of Jeff Driskel, both of which came in the second half when the Steelers battled back from a 10-3 halftime deficit to win and end their regular season at 9-6-1. Heyward’s first sack came with 9:48 left in the third quarter and played a significant role in forcing the Bengals to punt on their second offensive possession of the half. But it was the second one that may have saved the game for the Steelers. A 47-yard field goal by Matt McCrane had given the Steelers a 13-10 lead, and on the Bengals’ ensuing possession, a 51-yard run by Joe Mixon on the first play had the Bengals deep in Steelers territory. On third-and-2 from the 7-yard line, Heyward broke through and sacked Driskel for a 7-yard loss that forced the Bengals to settle for the tying field goal rather than have a chance at a go-ahead touchdown. Based on the Steelers escaping with a 16-13 win, that four-point swing was a huge factor in the game. Heyward is the Steelers Digest Player of the Week. The season may not have ended like we wanted, but this team brought us together the last few months. We celebrated the highs together, mourned the lows together and had something to look forward to each week. Let’s remember we are all fans of the best team in the league-win or lose! This team will be back and better than ever. Be kind to one another, celebrate life and SMILE! And, don’t forget to check in over the offseason. We appreciate the support of Steeler Nation!